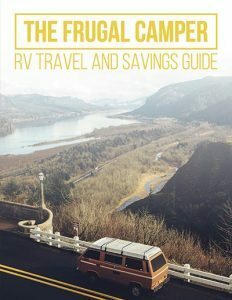 The comforts of an RV make camping super easy, and one of these comforts is running water. RV fresh water hoses, that are meant to fill the RV with clean water, are white in color. They come in either round or flat styles. 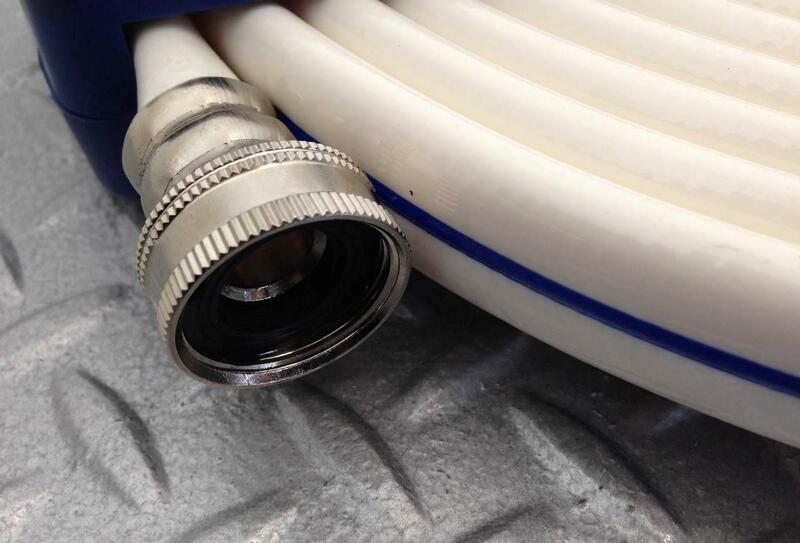 Round hoses (that are the same shape as a garden hose) take up a lot of storage space. 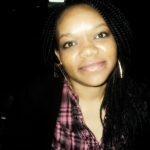 This is their only disadvantage. 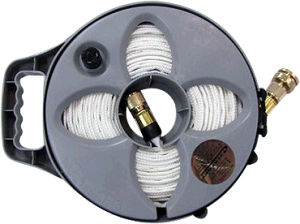 Flat hoses come in a reel, that can simply be unwound when needed, then wound back up and stored neatly. The flat hose needs to be completely unwound in order to use it, so its length should be a consideration when purchasing. 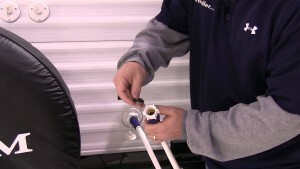 Some RVers use multiple RV potable water hoses to connect their RVs to the water supply. For example, a 4-ft. RV water hose can connect to the faucet. This hose then connects to the filter. 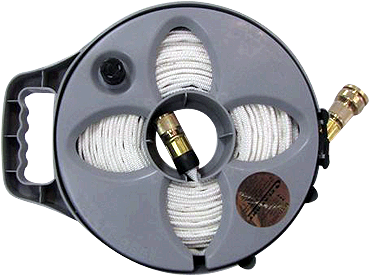 You can then add another longer hose, to get the water close to the RV. From that point, you can then connect the pressure regulator to the inlet for the holding tank. Let the water run through each connection before making another one, to ensure there are no blocks or leaks. 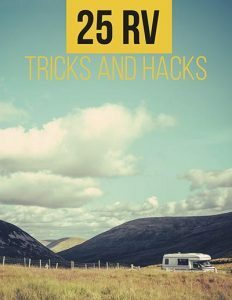 Do not ever use your RV fresh water hose to do anything other than what is mentioned above. Remember the water you drink goes through it, so keep it clean. RV hose insulation is available, to keep your hoses from freezing during cold weather. You can buy a heated hose, or insulate your hose to prevent it from freezing. Wrap heat tape around your hose in the style of a barber shop pole. 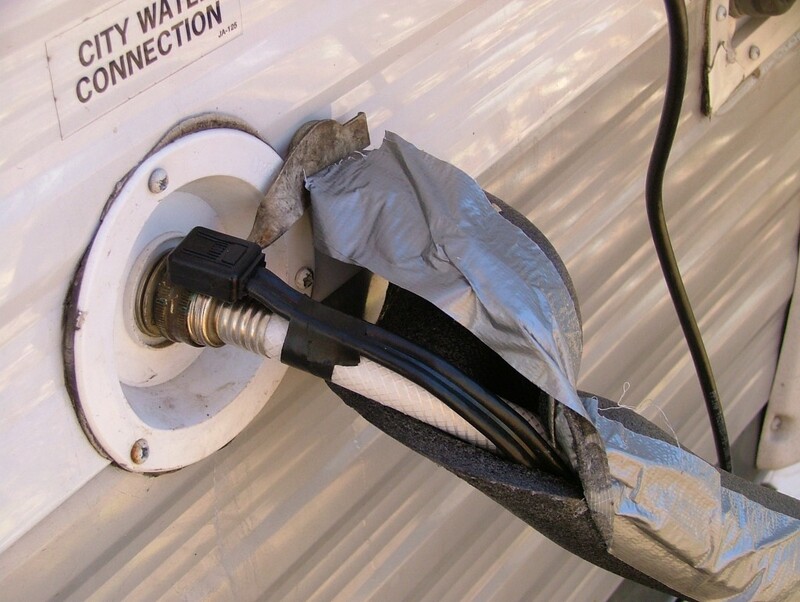 You can find heat tape in any RV supply store or hardware store. Ensure the heating element is hanging off one end of the fresh water hose. This should then be covered with foam insulation tubing, which you will find where you bought the heat tape. The tubing should cover the length of your hose. Secure the tubing, by wrapping duct tape around it. RV potable water hoses should be stored securely, to prevent them from being contaminated. The ends of the hose should be fixed together when storing.